You can find Devin on LinkedIn or Twitter. This is our recent interview with him, as part of our Kinsta Kingpin series. When I graduated college from the University of Arizona (Go Wildcats!) I started working in IT at a large corporation. The company I worked for had me working on a lot of Microsoft SharePoint administration and management tasks like building out the company-wide intranet and also helping to expand the system to a customer-facing portal. The work was fun and challenging but I found working with .NET and MS technologies frustrating and difficult. The good thing about it though is it did introduce me to the world of content management systems and piqued my curiosity to see what else was out there. My first experience in the world of open source world was with Mambo, which eventually would eventually become Joomla. I really liked the simplicity of the platform when compared to SharePoint and how it was free to use. This concept was entirely new to me at the time coming from the world of proprietary MS licensing. Mambo eventually led me to tinkering with Joomla and Drupal and eventually I came across WordPress. I remember my first impression of WordPress was being very impressed by its user interface, ease of use, and wide variety of extension options with themes and plugins. After a short time using it I discovered the WP community and local meetups and from there I was hooked. Since then I’ve hardly looked at anything else and working with WordPress has become my career. 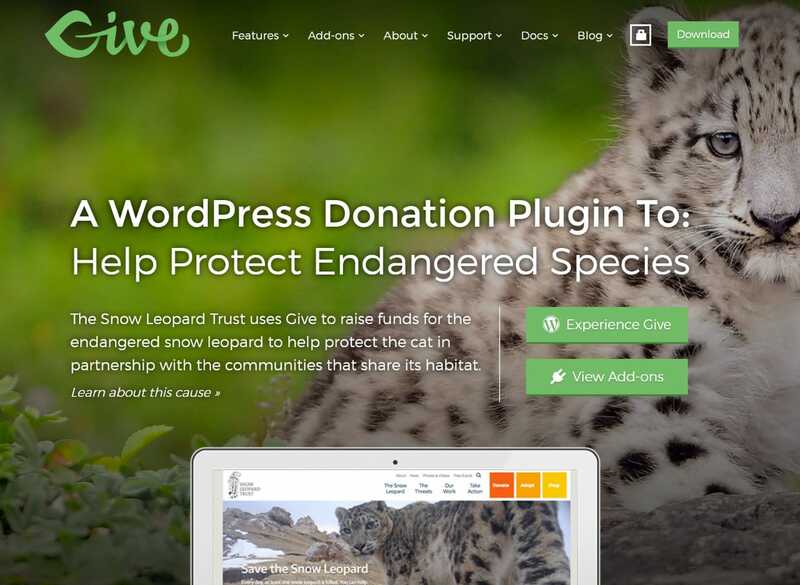 We’re focused on making the best donation and fundraising platform available for WordPress with GiveWP. This is really our flagship product and it’s something I spend 90% of my day working on. We love that we can help make the world a better place by offering a free plugin to people and organization to easily raise money for their cause. Other than GiveWP, we are also coming out with a plugin to display business reviews on your website from a variety of networks like Yelp, Facebook, Google, and more. It’s called WP Business Reviews and it’s going to be in beta here within the next few weeks. The biggest challenge I faced was trying to build a business alone. It wasn’t until I partnered with Matt Cromwell and Jason Knill that the business really started to grow. We each know each other’s strengths and weaknesses and together we make up a really complete skillset. Before I was trying to wear too many hats and found it’s really tough to excel as a solopreneur. There have been many surprises for me while working in the WordPress world. Recently the flurry of acquisitions of several companies has been surprising, but in a good way. It shows that our industry is expanding and maturing. What’s surprising though, is a lot of the acquisition details were never disclosed. This doesn’t seem in the spirit of open source but I can understand why. The future looks bright! With how large the community is it’s easy there is more discussion questioning the future of WordPress and the direction it’s headed (Gutenberg, Jetpack, etc.) but personally I’m optimistic. We’re going to continue growing, contributing, and building on the WordPress platform well into the future. The best way to make a difference is to be involved and that’s what myself and our company have every intention to keep doing. I’ve used many of the most popular hosts out there from the shared hosting offerings to the highly optimized stacks. What I look for mainly, though, is how good is the support? Sure speed and uptime is important, but just as important is knowing that you have a lifeline that’s willing to go the extra mile and not just brush the problem off as yours and not theirs. When your business runs on WordPress the hosts’ support staff should have intimate knowledge of the platform. Having confident support is the main reason I choose one company over another. Traveling has been a big part of my life in recent years. I’ve been to India twice this year to speak at and sponsor multiple WordCamps. As well, I was able to make it over to Europe for WordCamp Europe this last year and I plan to go again this year. Thankfully my wife likes to travel as well so we try to make it a “workcation” by mixing productivity and leisure at the same time. It’s worked out well and we plan on continuing it. Other than that, I’m an avid guitarist and disc golfer. Definitely Josh Pollock. The guy is a coding wizard the likes you have never seen. He’s also a really important member of the WordPress community and builds an awesome plugin called Caldera Forms which has just crossed over to 100,000+ active installs. He’s also a good guy and friend to not only myself but our company as a whole.